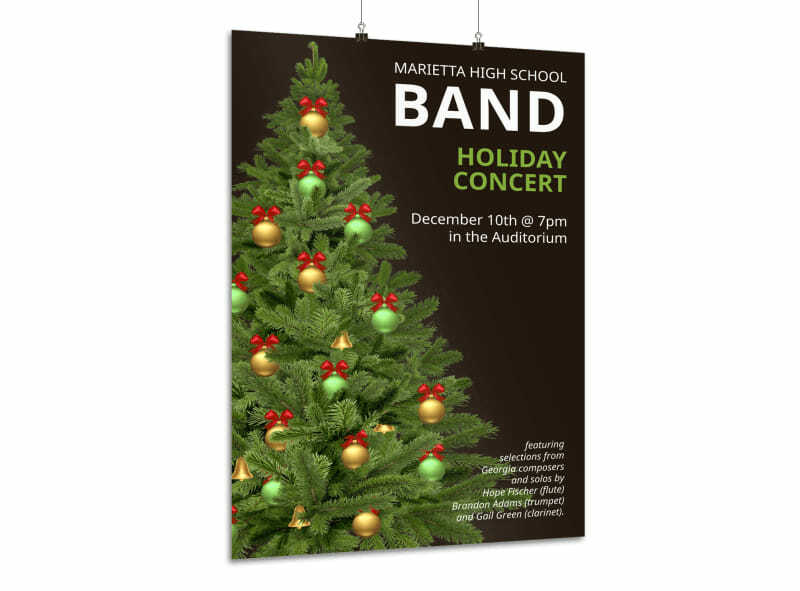 Customize our Holiday Concert Poster Template and more! 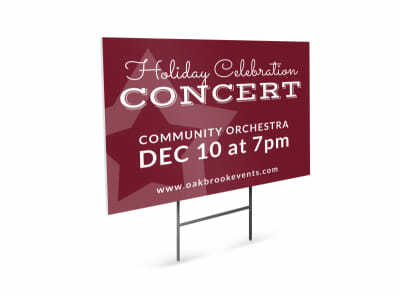 Advertise upcoming headliners for your Christmas concert with this hard-to-miss poster you make yourself. Use our online editor to insert graphics and images, text detailing dates and more. 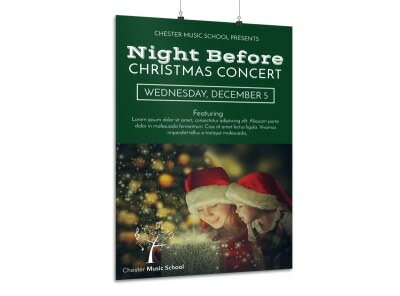 Your poster comes to life with just a few mouse clicks. Begin designing your poster now!